On Tuesday morning the Academy of Motion Picture Arts and Sciences announced its 2017 Oscar nominees, and not surprisingly Damien Chazelle’s La La Land has two-stepped its way to the front of the pack. 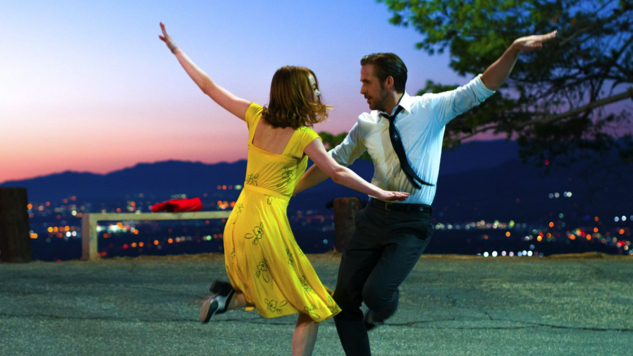 The “unbearably white” jazz musical received a record-tying 14 nominations, including: Best Picture, Best Actress (Emma Stone), Best Actor (Ryan Gosling), Best Director (Chazelle), Best Original Screenplay (Chazelle), Best Original Score and Best Cinematography (Linus Sandgren). Barry Jenkins’ remarkable coming-of-age film Moonlight and Denis Villeneuve’s sci-fi brain-bender Arrival each scooped up eight nominations, including Best Picture, Best Director and Best Adapted Screenplay. Kenneth Lonergan’s beautifully melancholic Manchester by the Sea, a resurgent Mel Gibson’s Hacksaw Ridge and Garth Davis’ Lion all earned six nominations. One other particularly notable nomination is Ezra Edelman’s towering, eight-hour docOJ: Made in America which initially debuted in wide release on ESPN this past summer. It’s the first such major nomination for the sports giant, and could well represent a sea change in what gets nominated for Academy Awards. To see if OJ: Made in America, or any of the other films win, tune in to the Academy Awards on Feb. 26 at 7 p.m. EST on ABC, and check out the entire list of nominees below. There’s plenty of overlap between The Academy’s picks and Paste’s—find our favorite films of 2016 here.